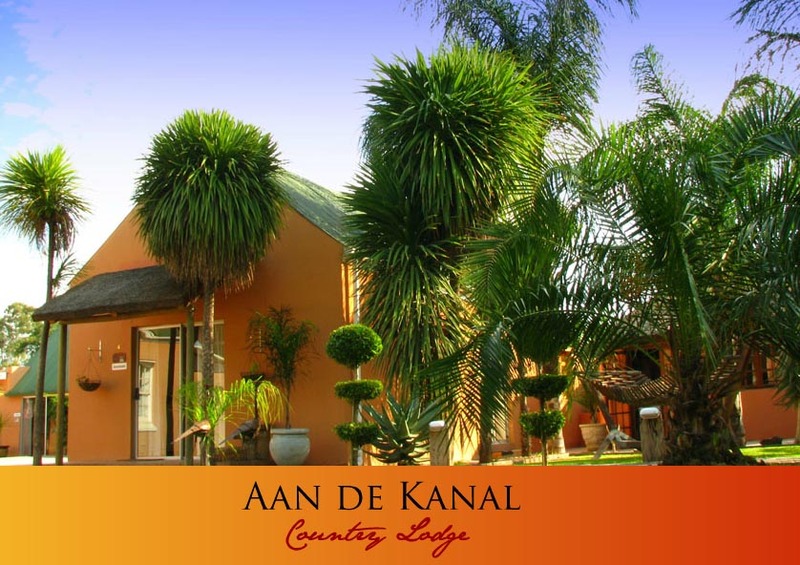 Set in a lush, green garden next to the canal, Aan de Kanal offers 3 self catering units and 4 bed & breakfast rooms to adress all your accommodation needs. We offer delicious breakfasts, lunches and dinners, all served in our on-site restaurant. Should you want to relax after a long day of travel, come and enjoy our hot tub in a private setting. We also offer a traditional South African lapa where you can enjoy a relaxing braai. We provide you with all the needed wood utensils. All the rooms comes standard with DSTV and secure parking.